Welcome to Zomday.com The one stop (last stop) for all your zombie needs! Books, movies, targets, toys, props and so much more! 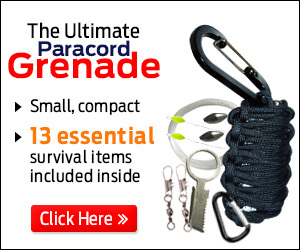 We sell great zombie products from many distributors and manufactures so that you will find most any zombie related products all in one place. Since we sell from so many distributors, just click on the "check price now links" to find the up-to-date best price on each item! New products EVERY DAY - that's right, unlike other stores, we keep looking for the BEST zombie related goodies and add them to our listings EVERY DAY! So please BOOKMARK our page, share it and like it on Facebook and Twitter! Thank you, from your Zombie Hunter Headquarters - Zomday! 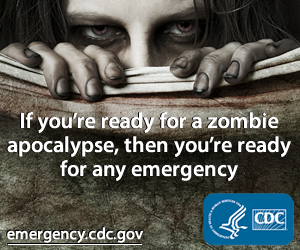 Even the CDC likes Zombies! Copyright © 2012 ZomDay Everything Zombie!